and both wore tight, adorable, ringlet curls. while it was still wet from washing. This was during the 1930s. 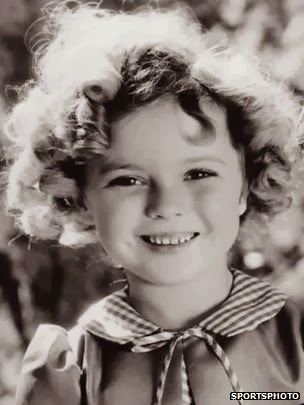 Shirley Temple Black died today. although both were charming to a fault. I’d watched died, and buried ever since. Heart-rending grief takes its toll. I decided it was time to stop. Time to look up, time to move onward. Melinda Rizzo lives and works as a freelance reporter and writer in Quakertown, Bucks County Pennsylvania USA.The child of older parents who have both died, she grew up watching old black and white Shirley Temple movies. She lives with a teenaged son, her husband of 35 years, and a black Labrador named Caleb in an old, drafty, lovingly restored farmhouse. Mmm. I love this poem. It hangs sopping wet over my shoulder on an almost-hot summer day when much work has been done and there's much to do, but home is somewhere around the corner. It also vaguely reminds me of Susan Straight's "Tea and Oranges" in The Sun - https://thesunmagazine.org/issues/457/tea_and_oranges. Beautiful work.